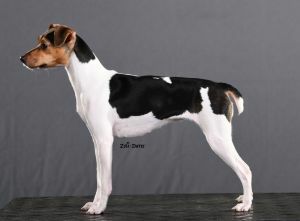 SWEETIEBELLE - World Pedigree DataBase Brazilian Terrier, Brazilian Terrier Pedigree DataBase. 6 x BOB 6 CAC, 3 junCAC in Denmark, Danish JuniorChampion, 1 CAC & BOB in Finland, 10 BOB, 2 BOS, 12 CAC, 1 CACIB & 2 NORDIC CAC in Sweden. 1 BIS 3 puppy & 1 BIS Junior 3 at Terrierclubshow in Sweden.